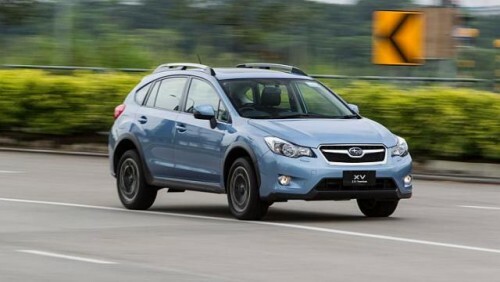 FUJI Heavy Industries, the maker of Subaru cars, has set up a representative office in Singapore as part of its ambition to more than treble Asia-Pacific sales by 2020. The move by the small Japanese manufacturer part-owned by Toyota Motor Corp follows similar set-ups by others in the last 18 months, including Ferrari, General Motors and Jaguar-Land Rover. Fuji Heavy corporate senior vice-president Hidetoshi Kobayashi said yesterday that the company was projecting sales in the region to grow from 14,000 last year to 50,000 in 2020. "That is why we are setting up this representative office here," Mr Kobayashi said. The dramatic projected growth will come on the back of assembly operations in Malaysia, which it started with Singapore's Tan Chong International last year. It assembles the XV Crossover, and will add the Forester SUV to its line-up soon. Locally assembled vehicles enjoy lower import tariffs in Asean markets such as Thailand, Malaysia and Indonesia. Subaru's growth rate will outpace the overall sales expansion in the region. Mr Kobayashi said total car sales in the region are expected to rise from four million to 5.07 million in the same period, with the Japanese accounting for more than 70 per cent of the market. Globally, Fuji Heavy expects Subaru sales - which account for more than 90 per cent of its turnover - to breach the one million mark by 2020, up from around 750,000 last year. Mr Kobayashi told The Straits Times that the company will revisit the sub-compact segment, in which it had a strong presence in the 1980s and 1990s with models such as the Justy and Viki. These cars will sit well with the current downsizing trend sweeping the automotive industry, he said. Mr Hajime Sasaki, general manager of the Singapore representative office, said the outfit here is starting off as a post for "information gathering", manned only by three executives. The company will decide in three years' time whether to turn it into a full-fledged regional centre, he said. Meanwhile, General Motors' new regional headquarters is expected to start up by September, with an expected staff strength of about 200. It marks GM's return to Singapore, after it packed up for Shanghai in 2004. A company that has grown its presence significantly here is Toyota Motor Asia Pacific. From around 60 people in 2001, it now has more than 400, including a division taking care of Lexus, Toyota's luxury brand. Mr Kobayashi told The Straits Times that the company will revisit the sub-compact segment, in which it had a strong presence in the 1980s and 1990s.